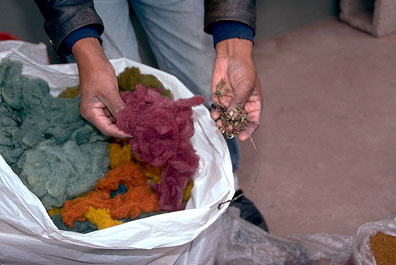 Nilda shears a llama’s fleece. 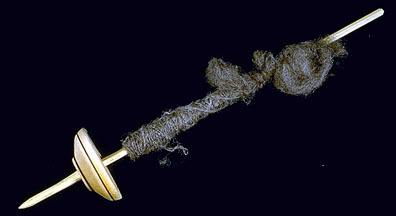 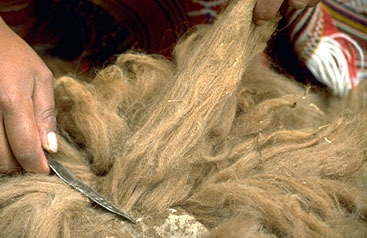 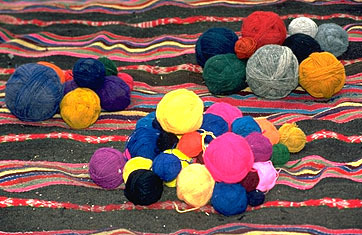 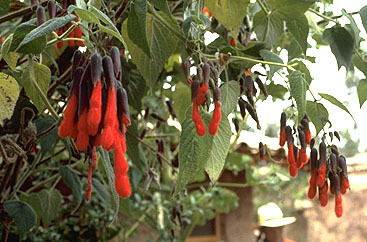 Llama fur provides long strands for spinning. 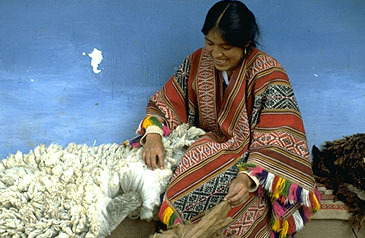 Nilda’s family owns llamas as well as sheep, but the family llamas are tended by godparents from another high altitude village.